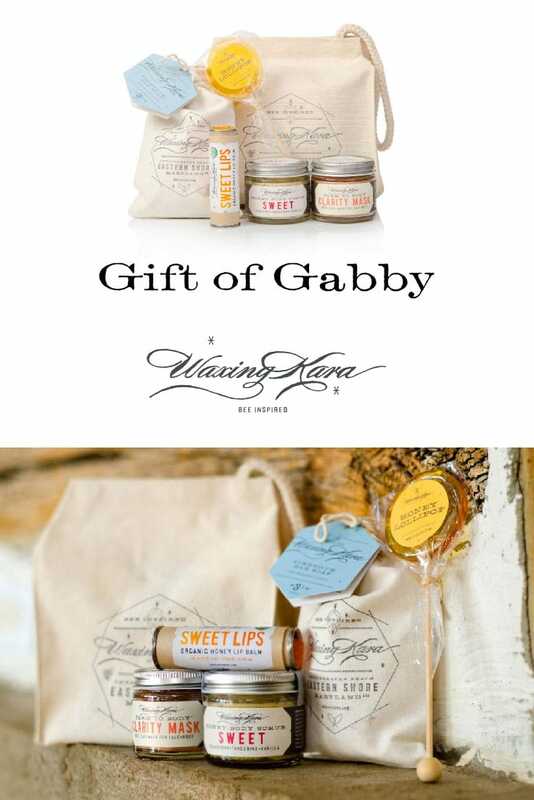 Inspired by a friend, the Gift of Gabby bag includes everything you need to pamper yourself from head to toe. A body scrub, dry mask, lip balm, soap, and lollipop combine to create a truly special gift. Perfect for mothers, girlfriends, and even as a treat to yourself. Earn 42 Points when you purchase this item! We’ll share a little-known secret with you-sometimes we recruit our customers to join our Honey House team. We think that people who get what we are doing should play a role in how we are doing it—and it happens to be awesome to work with people who believe in our mission. Gabby came into our Honey House in the first few weeks that we were open to buy her mother a gift. She eyed everything in the store before putting together the gift and we were impressed with her generosity. She chose this sweet honey gift. Perhaps you know someone who needs the Gift of Gabby? All products are handmade in the United States. Free from parabens, sulfates, artificial colors, flavors, and fragrances, and petroleum ingredients. Sweet Honey Body Scrub: honey crystals and plant butters in a sweet vanilla-tangerine fragrance to exfoliate and polish the skin. 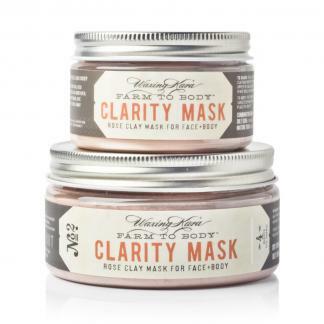 Clarity Mask: detoxify the skin with rose clays from the earth. Lavender Pumice Soap: exfoliate and brighten with pumice and lavender oils. Honey Lip Balm: give Certified Organic softness to your lips. and a Honey Lollipop: for a dose of sweetness. Our goal is to bring together the best bee inspired gifts handcrafted by artisans across the USA to your door. 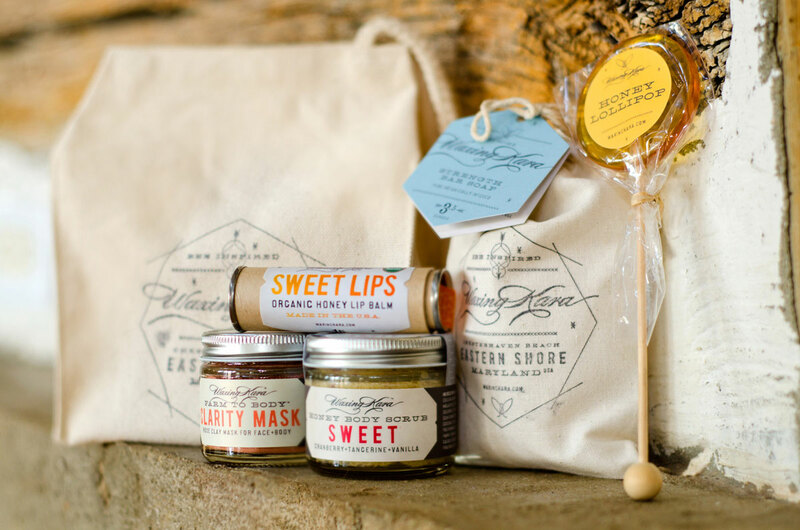 Our bee inspired goods are all custom crafted specifically for our Honey House. We strive to bring the best small batch, artisanal and or varietal honey of the Eastern Shore to honey connoisseurs—from our hives and from other beekeepers with impressive reputations and experience. 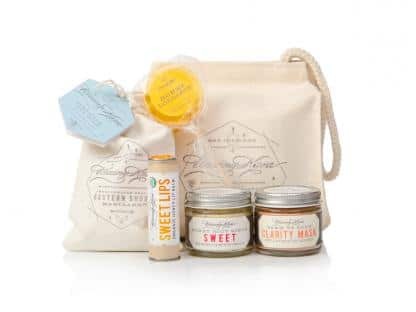 We weave all of these premium bee inspired goods into specialized bundles to make an impressive presentation for you to share with your colleagues, friends and family. Thanks Dale! So glad to hear you enjoyed! Super gift idea- AND, a great way to try different Waxing Kara products! Every item is a winner, so you can’t go wrong.